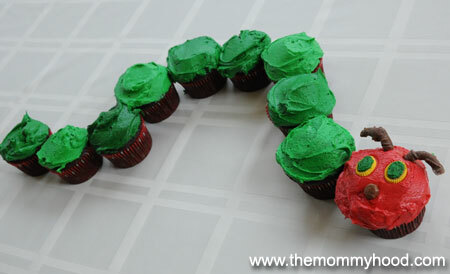 My son loves the Very Hungry Caterpillar, so I used that as inspiration for his birthday cupcakes this year. I’m not much of a baker, so I needed something pretty easy to make. This was doable. 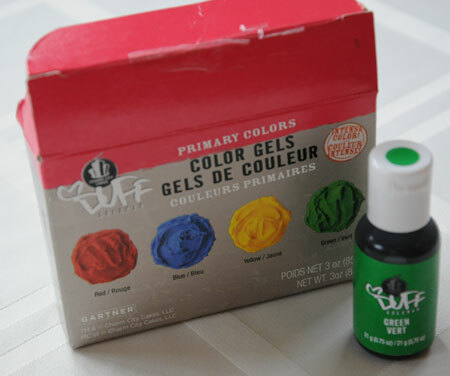 I used this gel food coloring I purchased at Michael’s and it worked really well. 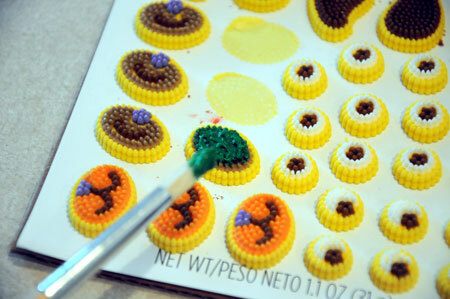 The colors were very vivid when added to butter cream icing. 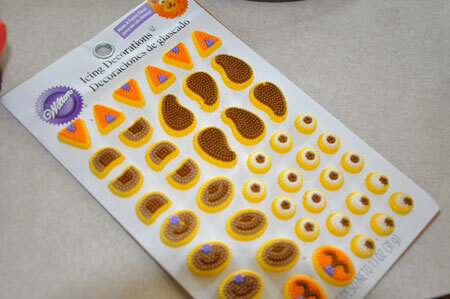 Also at Michael’s I got these sugar decorations to use for the eyes. Only, I realized the eyes are supposed to be yellow with green in the center, not brown. So, I made some green icing and used a paint brush to turn them from brown to green. Antlers. We needed some antlers. What could make antlers? 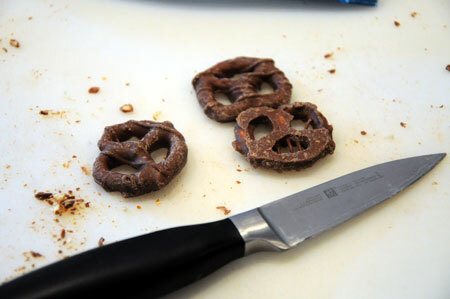 Chocolate covered pretzels! but we didn’t mind eating the unsuccessful attempts). 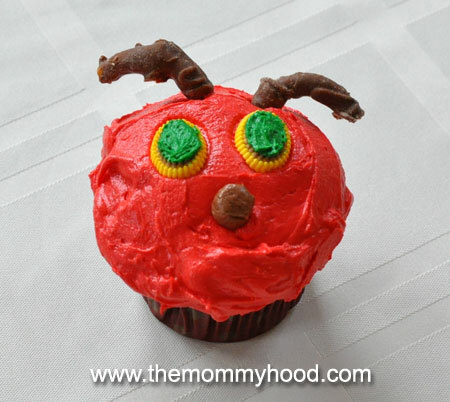 And I got some cocoa powder and mixed it in with the icing and then rolled that into a little ball to make a brown nose. Hindsight – a brown M&M would have been much eaiser. 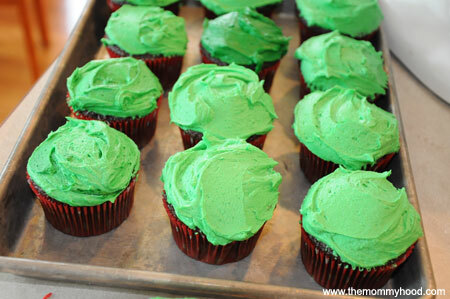 I made a few shades of green icing for the body cupcakes. I have to tell you I thought I had come up with a really original idea here. Surely no one else had done this before. Yeah, not so much. 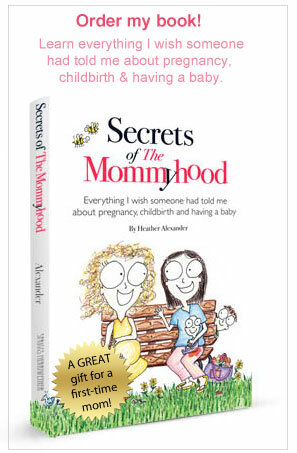 Turns out lots of better bakers than me have done it – for their babies! – and here I am doing it for a four-year-old. But who cares? He loved it and that’s all that matters. Tip: If you decide on this as a theme, note there are Very Hungry Caterpillar party supplies including invitations, hats, paper products, etc. Thanks, Sara! Hope your little one has a great birthday!